Sew What’s in a Name? I mentioned in a previous post that I wasn’t chosen to be a pattern tester for 5 out of 4’s new cardigan pattern. But guess what? I got to name the pattern! How cool is that? They had a cardigan naming contest in their Facebook group, so I entered it. You never expect to actually win a contest, because face it, hundreds or thousands of other people have entered the contest too. So be sure to check out The Eleanor Cardigan (women and girls versions) from 5 out of 4 Patterns https://5outof4.com/ on October 2, 2018 when it releases! Author sewbeachlifePosted on October 1, 2018 Categories SewingTags cardigan, Facebook pattern groups, patternLeave a comment on Sew What’s in a Name? I like to sew and create pretty things. My grandmothers and Mom all sewed, so I grew up sewing. I’ve sewn since I was tweenager. I remember taking a sewing class for kids with my sister when I was maybe ten or twelve years old. We picked out a pattern and fabric, went to class on a weekly basis for a month or so, and had a little “fashion show” on the final week where all the kids modeled their creations. I made a linen background cotton sundress with a strawberry print on it. My sister (being a tomboy) made overalls out of a denim “patchwork” knit. Keep in mind that this was the 70’s so that you can get a visual of these gems in your head! Well, since I basically already knew how to sew, I got to work and had no problem completing my project during sewing class. Dianne however, had little interest in sewing, and was probably forced to attend the class with me so Mom could have a few hours of peace and quiet! Needless to say, despite my attempts to help, along with the probably overwrought instructor, Dianne did not complete her project during class. Hours before the fashion show, my grandmothers and Mom worked to complete the overalls for her to model. Why the instructor let a beginning sewist pick a pattern with overall buckles and buttons in the first place, I’ll never know! But I will tell you that I wore that strawberry sundress and Dianne wore those overalls until they were worn out! When you are looking at patterns and think that something may be a little too hard to try, keep in mind that you’re more likely to wear a design that you love! 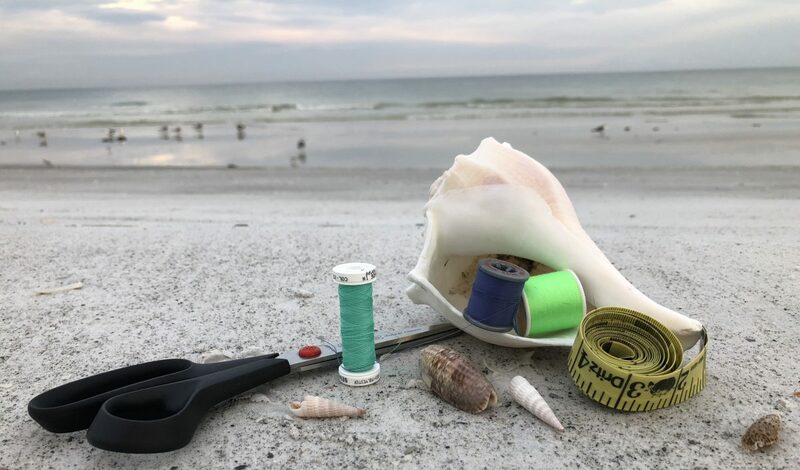 Even if you don’t have a sewing Grandma or Mom nearby to help, there is a large community of sewists on dozens of independent pattern sites on Facebook that will gladly talk you through the pattern. Happy sewing!